Food Monsters and the State Newspaper! I am extremely gracious to David Lauderdale for the lovely interview the other day. Jay Karr took wonderful photos as well as this video (all of which I am floored by). Thank you David Lauderdale, Jay Karr, the Island Packet, McClatchy News, and the State Newspaper. I am at a loss for words and cannot express how honored I am to be mentioned and my journey shared. Truly, there is an opportunity to implement change of epic proportions. We are all instruments of hope and change and I hope my journey can inspire others. A few months ago I had the privilege to talk about my journey and a few days later, here I am on the news. I am so honored to not only be able to share my story but to have been nominated for the 2018 LiveWise Lifestyle Change Award. I accepted the award at the Palmetto Heart Walk, which I encourage everyone in the future to participate in as it was truly a beautiful and inspiring event. Since this article was written, I have released another 10 pounds making it 170 pounds released and still going. If you are interested in how I did this, please check out Bright Line Eating. They have a scroll down menu which links to Susan PeirceThompson's (the founder's) blog where she shares articles and videos that are both insightful and interesting. If you would like to learn more about Blight Line Eating, feel free to get in contact with me. I am more than happy to answer any questions you may have and offer any support I can. In January, I had the privilege to tell my story of how I was able to conquer my weight through Bright Line Eating. It was (and still is) a difficult journey, but Bright Line Eating makes it manageable and keeps me on track. 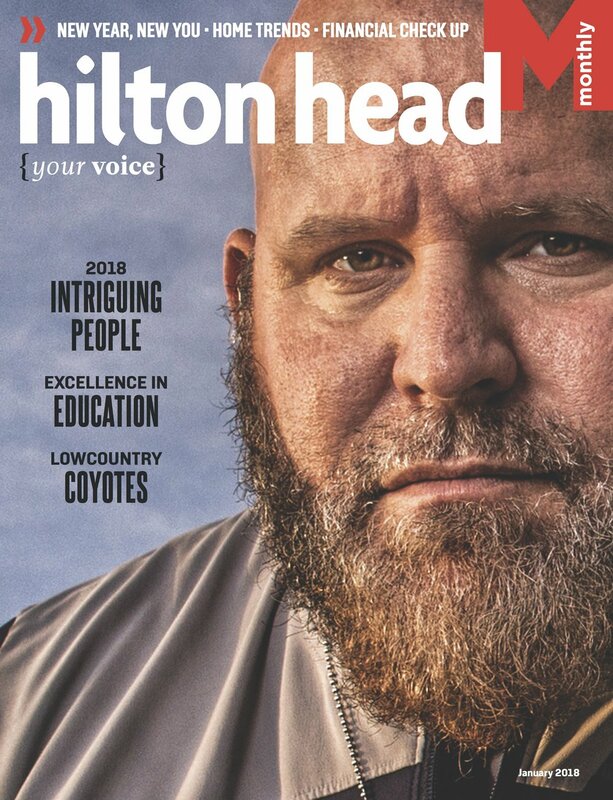 Thank you Hilton Head Monthly and Becca Edwards for letting me share my story.